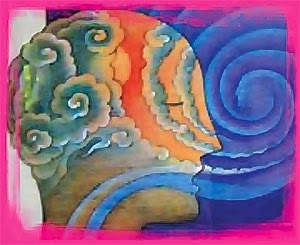 Awakened Breath with Frank Levey: Forget milk...Got Breath? A requirement for life is that we breathe. Our breath announces our arrival into life and also declares our departure. Yet, during our lives, most of us use less than half of our bodies full capacity for breath and, to the extent that we restrict our breath, we limit our life force, energy, and well being. Awakened breath is a life-enhancing self-healing approach of using conscious breathing to facilitate improved well-being, a sense of inner peace, and greater joy in life. What is it about the way in which we live our lives that, quite literally, takes our breath away? How is it that, all too often, the breath that we have as infants, gloriously announcing our arrival, begins to close down, restricting our most vital connection to life, and continues on until our last diminished gasp? The fact that, for most of us, the umbilical cord is cut way too early, providing a shockingly cold and painful first breath, does not help the cause. We then do everything possible to stifle and shush our babies, limiting even more of their genuine expression. As we age, we learn that, through stifling our emotions, our thoughts, and our feelings, we can create what we perceive as a safe haven in a threatening world. we do things to seek approval of our lifeline, our parents, and therefore we continue to close down our breath. We all know these tools. Don't want to cry at a movie? Hold your breath. Don't want to feel the intense emotions of loss, grief, betrayal? Breathe slow and shallow. Don't get me wrong; we do these things in order to feel safe and secure in a world that is anything but. However, where we suffer as humans is that we remain closed, our breath remains limited and suppressed, and along with it, we lose our vitality and our innate aliveness. And the beauty of it all is that it is remarkably easy to regain our free and open breath. Our bodies respond to this re-opening much as a dehydrated person does towards a glass of clean, refreshing water; with ease, comfort, and joy. Of course, much of what we have been suppressing or repressing within will need to be released from or integrated into our being. Though not always pleasant, through the breath this letting go can be as graceful as opening our hands from a tight fist. And through this, we remember our genuine birthright. True ! life is really very unpredictable and short, we should try to live an let it go. and we should leave all the negatitives and keep positive attitude towards life.